Surfer Competing at The Eddie This and all photos are by the author except where noted. Never one to miss an excuse to have a good time, Honolulu throws big parties for Mardi Gras, St. Patrick’s Day and Cinco de Mayo. To get a closer look at that distinctly Hawaiian mixed-up culture where there is no ethnic majority, try to time your visit with one of these annual events that have particular significance for the island. All these festivities are free, but bear in mind that parking on Oahu is a headache at the best of times. For high traffic days such as festival dates, it’s better to take the bus. Chinese New Year is a big deal here. The Chinese have a long-established connection with Hawaii, stretching as far back as the first arrivals in 1788 and most significantly to the mid-to-late 19th century when when 46,000 Chinese immigrated to the Islands. Currently around a third of the state’s population claim full or partial Chinese descent. For two weeks over the New Year period, events are focused in downtown Honolulu’s Chinatown district. The Narcissus Queen Pageant selects the new Queen to serve as an ambassador of the Chinese community, followed by a coronation ball for which you’ll need to purchase tickets. Subsequent festivities include Choy Cheng (a traditional lion dance blessing), a parade featuring dragon dances and kung fu artists, childrens’ rides and games, and food vendors. 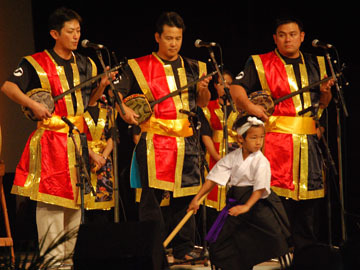 March’s Honolulu Festival is a celebration of the cultures of Pacific Rim countries. Japanese culture is strongly represented at this festival, which began in 1985 — not unexpected given that 16% of Hawaii’s population is Japanese. 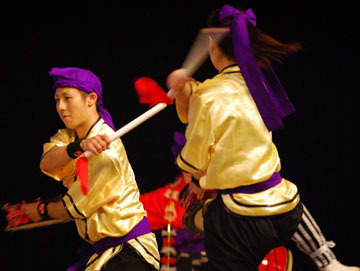 Three days of events take place at various locations throughout Honolulu and include performances of Japanese Taiko drumming, Hawaiian hula, Alaskan native dance, educational activities, and craft fairs. At the Hawaii Convention Center you will find stalls selling native crafts and dishes from the various represented countries. Since 2009, students of the University of Hawaii have presented a Maid Cafe, proceeds from which go towards their annual field trip to Japan. Each year the festival concludes with a parade down Honolulu’s main drag, Kapiolani Boulevard, featuring mikoshi, marching bands and beauty queens. A festival devoted to Hawaii’s favorite canned meat, the Spam Jam closes off Kalakaua Avenue all day so roughly 20,000 Spam-lovers can enjoy live music, tastings, and games all dedicated to Spam. Hawaiians eat seven million cans of Spam a year. 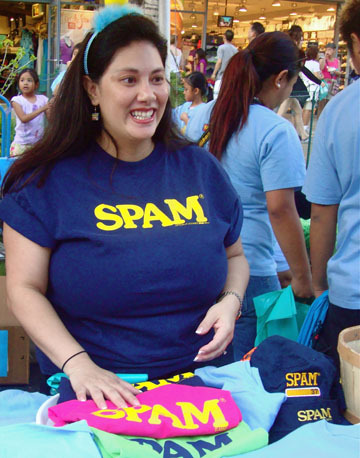 While Paul Theroux has suggested that Spam’s popularity amongst Hawaiians is down to its similarity to human flesh, it is rather a legacy of U.S. military influence on the Islands. Fresh meat was difficult for U.S. soldiers in Hawaii to acquire during World War II and so easily-stored, long-lasting Spam became a staple, eventually winding up in the kitchens of the locals as well. Hawaiians have created many popular dishes with Spam, such as Spam sushi, Spam musubi and Spamakopita, and it often turns up in stir-fries and salads. If you visit the Spam Jam, you can sample new Spam-based inventions courtesy of some of Waikiki’s most popular restaurants. Volunteers are also on hand to collect Spam donations for the Hawaii Food Bank. 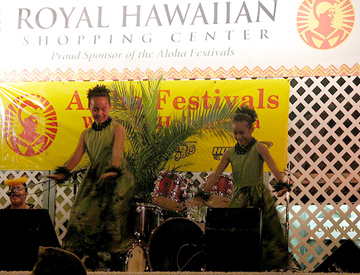 For over 60 years, the largest celebration of Hawaiian culture has been what is now known as the Aloha Festivals. For six weeks in September and October a series of events are held on six of the Hawaiian Islands. Oahu’s Aloha Festival takes place at several different locations in and around Honolulu, beginning with a block party, Hoolaulea, on Waikiki’s Kalakaua Avenue. The festivals highlight Hawaiian culture with events that illustrate the traditions of the Islands, including chants, hula and parades. There is also the opportunity to sample Hawaiian cuisine from food vendors at the Hoolaulea. During November and December the waves on Oahu’s North Shore can reach heights of up to 50 feet, bringing the world’s best surfers to compete in the Vans Triple Crown of Surfing. The event, made up of three separate competitions on Sunset Beach, Haleiwa Allii Beach and Banzai Pipeline, is the culmination of the annual ASP (Association of Surfing Professionals) World Tour, and decides who will be crowned the world champions. Surfing plays a central role in Hawaiian culture. More than just a sport, surfing is deeply rooted to the society, customs and mythology of the Islands. Attending some of the Triple Crown competitions gives visitors a feel of Hawaiian surfing culture, and the North Shore is an enjoyable place to spend a day, with its cafes, surf shops and slow pace. If you are very lucky, you might be able to catch The Eddie, an invitation-only big-wave competition held in memory of beloved lifeguard Eddie Aikau. The competition takes place at Waimea Bay between December and February only when the waves are big enough. ‘Big enough’ meaning face heights of at least 30 feet. The event was started in 1985, but (as of mid 2010) has only been held eight times. Looking for other things to do on Oahu? MatadorTrips’ Big Adventure on the Big Island of Hawaii has a few suggestions for you. If you’re looking for a way to get around, BraveNewTraveler’s Hawaii Car Rentals: How To Score Wheels In Paradise has a suggestion or two for you. Thirty foot waves too high? Check out TheTravelersNotebook for the Top 10 Surf Spots (for Mortals) in Hawaii.